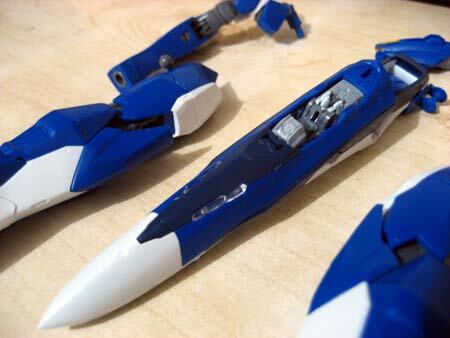 I got a lot of stuff done today with regards to the building of the 1/72 VF-25G Messiah of Michael. 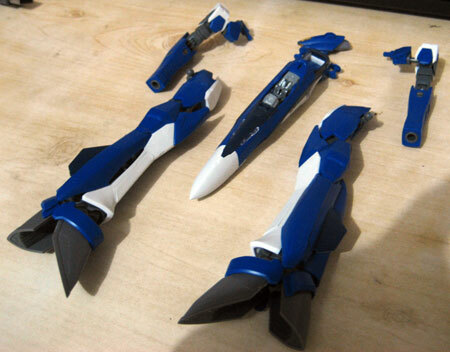 Yesterday I had completed the head, the cockpit and the arms, while today I finished working on both legs. I'm halfway through the manual already. One of the reasons I was taking so long was because of the painting process. There was one point where in I wasn't aware that my can of spray of was too close already to the parts. 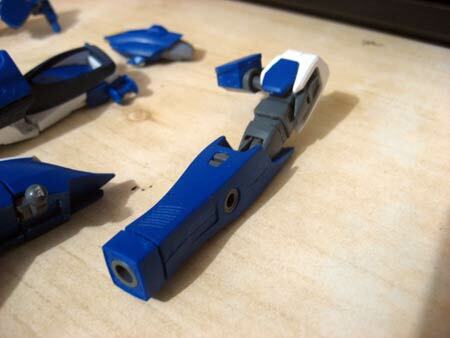 This resulted in the arms and some leg panels forming air bubbles and paint smudges due to the accumulated paint. I spent an ample time stripping the paint with an x-acto knife and some class 1000 sandpaper. Too bad though as I hadn't done a good enough job in sandpapering. I thought that leaving a few scratches in there would be ok because the paint would just fill it in. Turns out that those scratches were still deep resulting in it being left visible. Charge that to experience for the next build. I don't mean to boast but I'm glad that I had translated some of the VF-25G's manual to English before working on the kit, it sure came in handy. Not to mention that I got stuff done faster. Sure feels like being a kid again. I haven't built anything this lovingly since I was in high school. 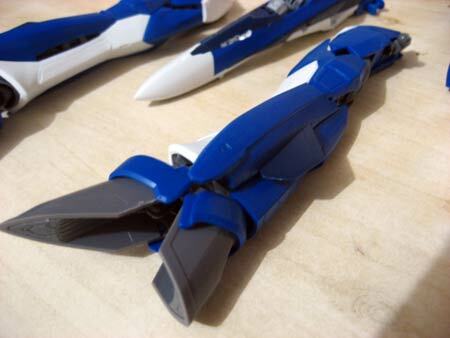 The bootleg Gundam Dynames doesn't count because I was just slapping it together without any attention to the detail and it was all for the sake of putting up a review. 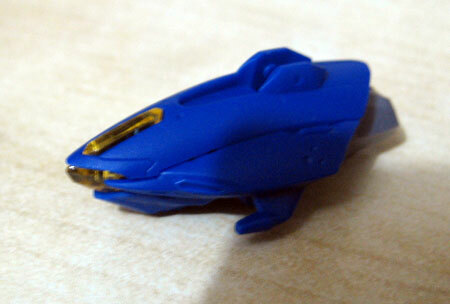 Plus of course it was sometimes frustrating because the parts didn't fit in correctly. Which reminds me, I should really take a picture of the finished product and post it up soon.